Russia is among the Council of Europe’s five major payers. 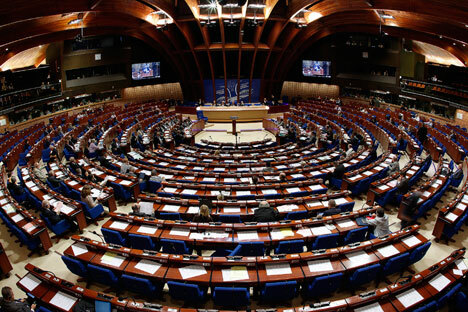 Russia has paid off its contribution to the Council of Europe for 2017, including for the work in the Parliamentary Assembly of the Council of Europe (PACE), a Russian lawmaker said on Dec. 1. "The 2017 contribution has already been paid in full, including the situation linked with the PACE work," Nikolai Kovalev, a member of the Russian State Duma lower parliament house, told journalists. "Let us hope normal relations [with PACE] will be resumed." In April 2014, the Russian delegation to PACE was stripped of key rights, including the right to vote and take part in the assembly’s governing bodies, following the developments in Ukraine and Crimea’s reunification with Russia. The issue of restoring the rights of the Russian delegation was raised at PACE twice throughout 2015 but the sanctions are still in place: Russia is deprived of the right to vote and cannot take part in the Assembly’s governing bodies and elections monitoring missions. In response, Russia suspended its participation in the PACE activities till the end of 2015. In January 2016, Russia refrained from applying for confirmation of its rights for 2016. It was announced early in 2016 that over the current situation Russia would pay in February only third of its annual contribution to the Council of Europe, or a sum of about ten billion euro. The sum of contributions for the current year was endorsed at about 260 million euro, with Russia accounting for some ten persent of the sum. Russia’s annual contribution for 2016 was to amount to about 32 million euro.